Imran Khan was given a ceremonial welcome at the Great Hall of people before he held talks with Li. China will provide the “necessary support” to Pakistan to tide over the present financial crisis, a top official here said Saturday as the two countries signed 16 agreements after Prime Minister Imran Khan held talks with his Chinese counterpart Li Keqiang to boost their “all-weather” strategic ties. Khan is here on his maiden visit to China as the two countries grapple to iron out differences over the multi-billion-dollar CPEC and Islamabad approaching ‘friendly nations’ to avoid a tough IMF bailout package. Welcoming Khan, Li said: “you can say that China and Pakistan are all-weather partners. “We have a high-level of political trust and close cooperation in all fields. Pakistan has always been regarded as a foreign policy priority by China. Your visit will further consolidate and develop the firm, enduring ties between our two countries”. Thanking Li, Khan said: “the relationship between the two countries has deepened since then because the CPEC in 2013 was just an idea. Now it is on the ground. And it has caught the imagination of the people of Pakistan”. “It gives us an opportunity to raise our standard of living, growth rate. You will see the difference because a lot has happened since 2013. One of the things, of course, is my party has come into power,” Khan said. After talks between Khan and Li, officials of both the sides signed 16 agreement in the presence of the leaders. 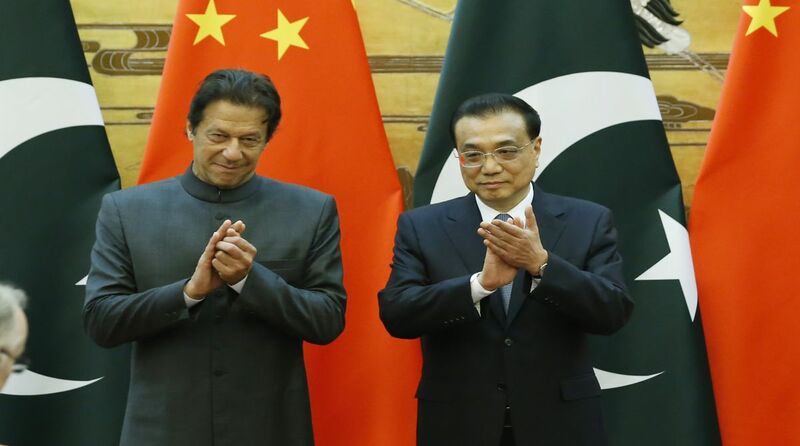 China will provide “necessary support” to Pakistan to tide over the present financial crisis but declined to reveal the amount, Vice Foreign Minister Kong Xuanyou told media after the talks. Khan met Chinese President Xi Jinping on Friday following which Pakistan media reports said Beijing has agreed to provide USD 6 billion in aid to the cash-strapped country which included a loan of USD 1.5 billion along with an additional package of USD 3 billion for the China-Pakistan Economic Corridor (CPEC). Asked about the USD 6 billion package, Kong said: “during the visit, the two sides made it clear in principle that Chinese government will provide necessary support for Pakistan to tide over the current difficulties. “As for the specific measures to be taken, the competent authorities will have detailed discussion”. He also said there will be no changes in the USD 60 billion CPEC projects which came under criticism including by some of the Khan’s Cabinet ministers over the increasing debt. To a question whether there will be changes in the CPEC projects, Kong said: “there has been no change in the number of CPEC projects. If there is going to be any, it will be increased going forward”. He also said more projects relating to “industrial cooperation” will come up in more areas of Pakistan. “The dimension of the industrial cooperation will be introduced into the CPEC going forward. 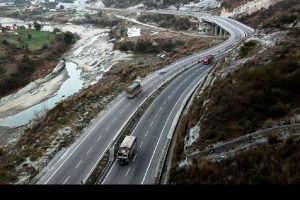 “The CPEC will be introduced to more areas of Pakistan and we are also in favour of areas relating to people’s lives and hence going forward both the areas and the contents of the CPEC will be enriched,” Kong said. Asked about the cooperation on counter-terrorism, Kong said: “all areas of cooperation have been covered and we also expressed positive wish for strengthening cooperation”. Khan was given a ceremonial welcome at the Great Hall of people before he held talks with Li.